As a reasonable economical person I like to utilise my nail polish collection to the maximum. Especially when we’re talking about such ground breaking limited edition pieces like OPI 18K White Gold & Silver top coat. Just imagine how much effort and money goes into one bottle of new polish – packaging, formula, design, marketing, testing, etc… I can almost imagine people in white doctor robes in a lab creating the New Amazing Polish, so we mere mortals, just can have something to play with. 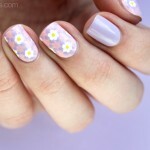 Naturally, I want such pieces to shine on my nails, not in my stash. 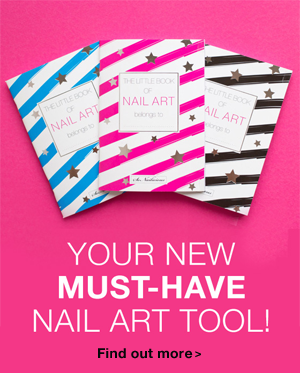 But with limited edition polishes such as OPI Pure, it’s hard sometimes to come up with new designs. 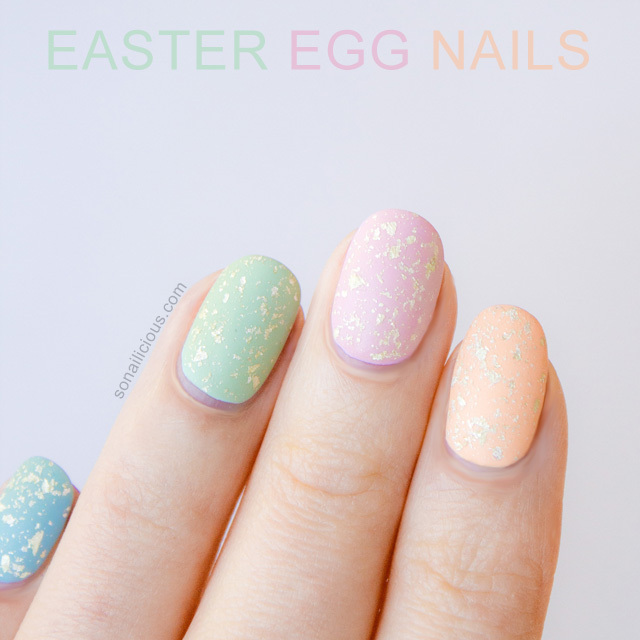 Driven by a desire to investigate other ways (except for layering it over black polish) of utilizing this white gold topper, I eventually came up with these Easter-esque skittle manicure. It looks even more Easter Egg like when mattifiyed! 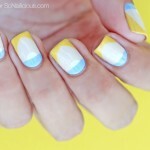 Paint nails on each hand in different pastel shades as pictured. Let it dry for a few minutes. Apply 1 coat of matte top coat. 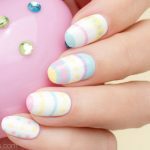 The beauty of these Easter nails is that this kind of look you can easily do on both hands, even if you don’t have great nail painting skills. 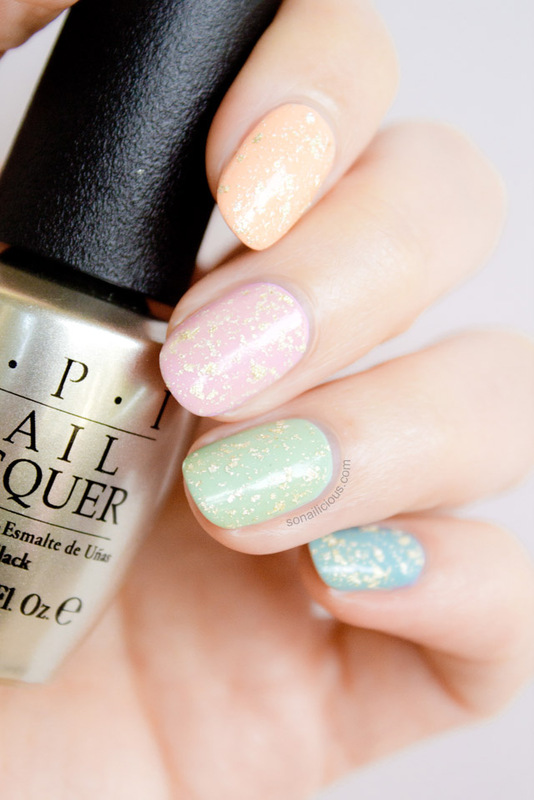 What about you guys, do you own OPI 18K or any gold flakes top coat? Do you use it often? 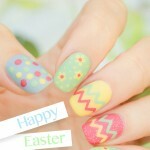 And how do you like this Easter Egg Nails look? 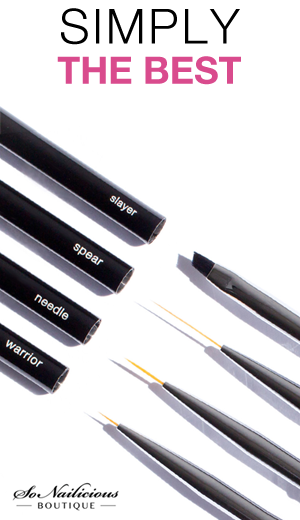 Which one do you like more – matte or glossy?